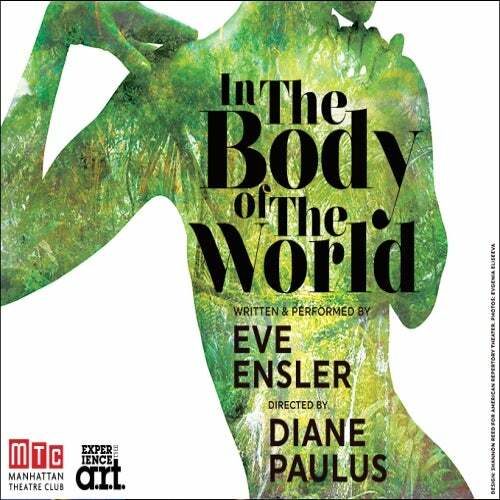 Manhattan Theatre Club continues its 2017-2018 Off-Broadway season with the New York premiere of the American Repertory Theater production of Eve Ensler's In the Body of the World. Performances take place on Stage I within the New York City Center. This new play is based on Eve Ensler's critically acclaimed memoir. While working with women suffering from the ravages of war in the Democratic Republic of Congo, Ensler was stunned by a life-threatening diagnosis. Told with her signature brand of humor, Ensler's personal journey uncovers surprising connections between her body and the earth and how illness can be both transformative and transcendent.